Apartment in Palermo Soho, Buenos Aires - Gorriti Home ! 1200 square feet apartment in amazing central Palermo Soho location features two bedrooms split in two levels with private terrace and BBQ. Parisian touches will make this your perfect South American retreat! 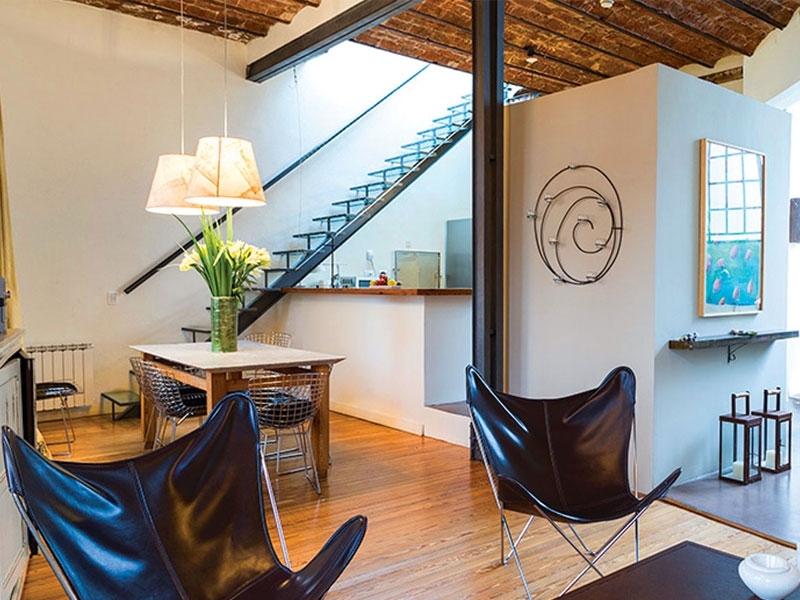 This apartment for rent in Buenos Aires is definitely one of a kind. Located in a typical PH, which stands for Horizontal Property, this Home will most certainly exceed your expectations. When the owner bought this apartment back in 2009, it seemed like little could be done to make it joyful again. It was a dark space, with high ceilings and dusty windows. Full remodeling happened right away, and the before pictures (which are available at the property) will need to be seen to believe such a change is possible. Only maintaining the general structure, original mid-century tiling and its colorful vitraux, the owner fully renovated the apartment to make it look as it does today: a charming, bright and hip Home. The first bedroom is located on the first floor, and features a king size bed that can be split into two singles if needed, with its adjoining ensuite bathroom. On the second floor you will find the master bedroom, fully paneled in wood, and with direct access to your very own private terrace, your own personal oasis. There’s a barbecue and also a shower for cooling down on hot days. Enjoy the views, glass of Malbec in hand!